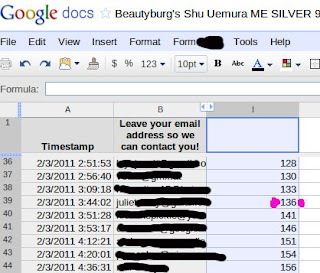 Congrats to Our Shu Uemura ME Silver 945 Eyeshadow Winner! This discontinued gem now belongs to one lucky winner! Hi everyone! Thank you everyone who participated in this giveaway! I am so thankful for you guys and want to let you know you know that you make every day brighter for me. I know it says Julie but the winner is Alexandra S. Check your email boo! 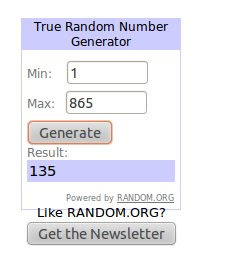 You are the winner of Shu Uemura ME Silver 945 Eyeshadow! Enjoy this icon! Don't worry if you didn't win this one! There is another giveaway coming soon! 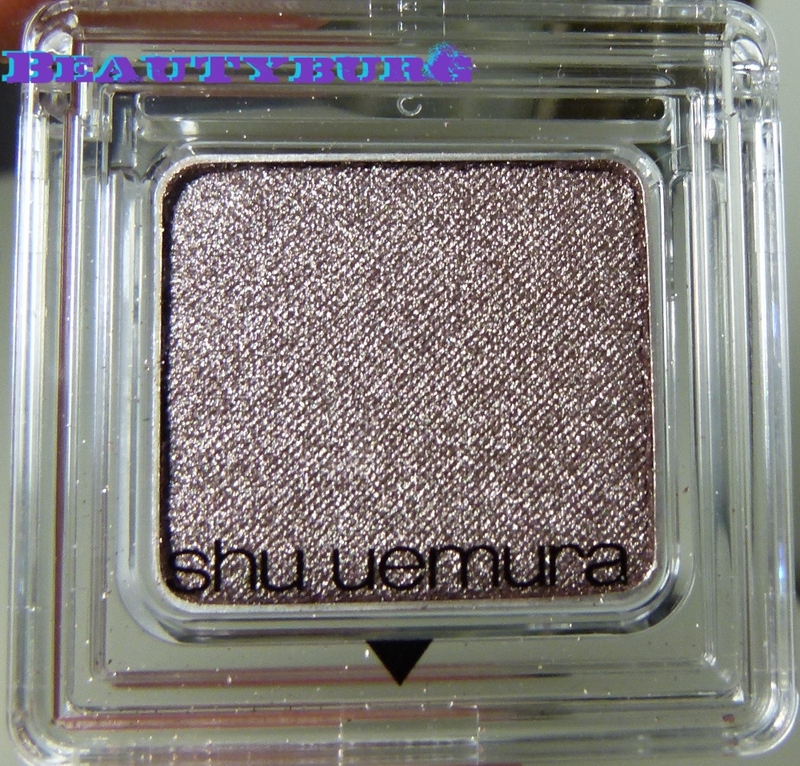 Don't Forget to Enter Our Shu Uemura ME SILVER 945 Eyeshadow Giveaway! Win A Long Gone Cult Favorite! One eyeshadow... so many different shades. Swatched from my collection. Is it silver? Is it brown? Is it taupe? It's ME SILVER 945 and this is probably one of the hardest to find eyeshadows. It has been discontinued ages ago, and even long gone from Evilbay. But I want you guys, my beautiful readers, to have a chance to win one I've been hoarding forever and share in its beauty! Check the photo above for how gorgeous it looks in different lights. Play with different bases and colors to steer ME SILVER 945 to be more silver, taupe, or brown. I love it every which way! Here is the giveaway link! 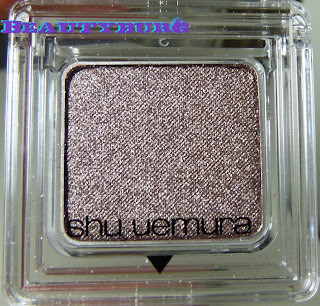 Joeybunny and Pink Sith did a great series titled, "Taupes You Can't Have," and here is a link to their post about Shu Uemura's ME Silver 945. All it's beauty waiting for you! My EOTD with this elusive taupe. Remember don't forget to enter the giveaway! Ends Mon. February 28th, 2011 at 11:59pm PST! Win A Legend! Shu Uemura ME SILVER 945 Pressed Eye Shadow Giveaway! I am beyond thrilled to bring you Beautyburg's next giveaway contest. Our last giveaway was epic in size, but this one is one for the books. I am giving away something that some makeup fanatics would never ever dream of giving up. Here is your chance to win Shu Uemura's ME SILVER 945 Pressed Eye Shadow. Yes, that Shu ME SILVER 945. Yes, the original one that was discontinued when Shu introduced their new packaging. Yes, that silvery taupe beige that looks brown, silver, grey depending on the light. Yes, that ME Silver 945 eyeshadow that would go on Evilbay for hundreds of dollars after it disappeared off the shelves. Yes, that one and only Shu Uemura ME Silver 945 that has now become a legend. Now is your chance to win a new, never used piece of makeup history...... Fill out the form below to enter! All you need to do is enter your email. There are other options you can do to spread the word to increase your chances to win. I hope you have fun with it and good luck to everyone! Why do companies always discontinue the best stuff? As always, open to international friends. You must be 18 to enter. 1 entry per person. Please try to only fill out the form once. Contest runs through February 28th, 2011 at 11:59pm PST. Winner will be announced March 1, 2011 and will have 48 hours to claim their prize. I hope you guys are as excited about this as me! What's your favorite discontinued item? Have you ever tried this eyeshadow before? Or have you just heard the myth?